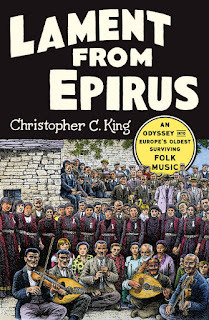 Above is a talk by Christopher C. King on his book, Lament From Epirus: An Odyssey into Europe’s Oldest Folk Music. King, a record collector and audio engineer, grew up in Faber, south west Virginia, and was travelling in Turkey in 2009 when he snapped up a stack of 78 rpm discs, as much for the ‘rare musk of shellac’ as for what was on the records. 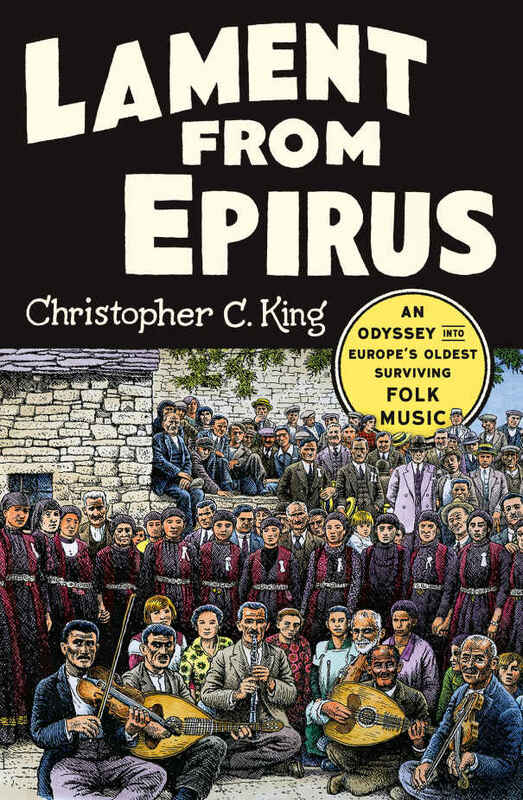 Except that when he got back to America and played what turned out to be Epirotic music from the 1920s and 1930s, King was stunned by what he heard and soon realised he was listening to the oldest musical tradition in Europe and one which went to the heart of the meaning of music. In particular, he deciphered that Epirotic laments (mirologoi) and early American blues were ‘spiritual twin brothers’. To demonstrate this, in the above talk, King plays Blind Willie Johnson’s classic Dark was the Night, Cold was the Ground with Alexis Zoumbas’ Mirologoi – recorded as it happened (of course, in complete ignorance of each other) in 1927. King describes the coincidence as ‘beyond serendipity’, reflecting, in the music, ‘something deeply human’ and ‘the best part of humanity’. Read a review of Lament From Epirus: An Odyssey into Europe’s Oldest Folk Music here. Amanda Petrusich, a music journalist turned on to Epirotic music by King, has also written amount Epirotic music. She describes Zoumbas’ Mirologoi as one of ‘the most devastating bits of music I’ve ever encountered’, adding: ‘There is a palpable hysteria to [Zoumbas’) playing; each note trembles, as if he has recently suffered an emotional collapse of unknowable magnitude’. *Mirologoi have been played for thousands of years in Epiros, for the departed – for the dead or those condemned to emigration or even at weddings, where there is a lament for the bride, for the daughter who has left one family for another, the latter reflecting themes from ancient Greece where the marriage ceremony was, in part, a death ceremony, symbolising, particularly for the bride, not the beginning of a new life, but the death of a previous one – and therefore a reason for sadness and mourning. Read more on marriage as a form of death here.